How do you like our Pirate Window? 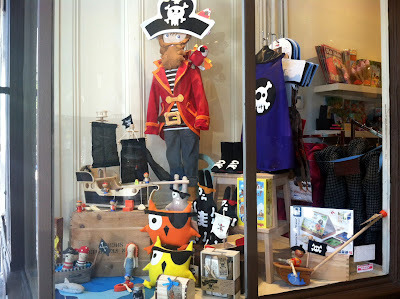 Check out those silly Indy Plush Pirate Owls! So what have we found for the seafarers in your life? Lots of pirate fun! 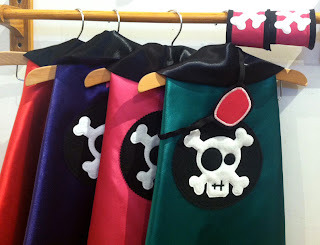 What's a pirate to do when the weather's rainy and the seas are too rough for sailing? Stay in and play games, of course! We've got several. 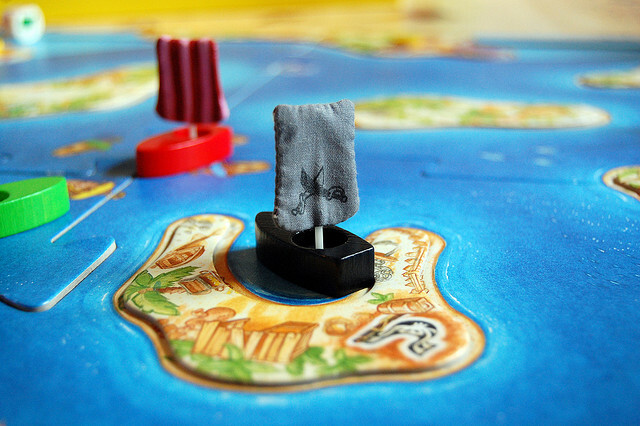 In "Pirate's Blast," above, players use small rubber "bellows" to blow miniature wooden ships around the playing board in search of doubloons. And in "Pirate Battleship," the classic game gets a buccaneer twist: I'll sink yer ship, ye scallywag! 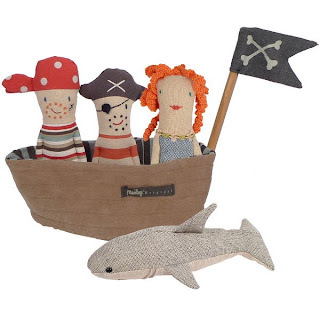 We'd never leave Baby out of the pirate fun - it's never too soon to get your sea legs! Maileg's sea-themed rattles have caused lots of "ooohs" and "awwws" in the shop, and the set makes a delightful gift for babies just setting sail in the world. We're also crazy for Kid O's floating whale - move over, Rubber Ducky, ye squiffy! From sea-themed ink and stamp sets to floating wooden pirate ships to a Pirate Excavation Kit, we've got lots of more pirate treasure in the shop for your favorite buccaneers. Let's weigh anchor and set sail into Pirate Month, ye buckos!